Car Sales Tricks You Should Watch For! Apr 1 • Cars • 1252 Views • Comments Off on Car Sales Tricks You Should Watch For! It’s no secret that Australians are hooked on cars, yet many of us are unaware that buying a car can be really tricky at times. If you happen to encounter a tricky salesman, you may be in for a long day. If you are new in a country, you may find that the rules of engagement when buying a car for use are not the same across the board. 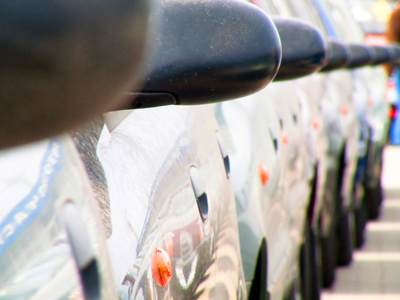 Car sales need to be straightforward and transparent. They also need to be done in a way that put you in a position of a good peace of mind. Here are a few dirty tricks you should watch for. Ordering will cost you more! This is a statement that has been used over and over by many salesmen. While in the car lot, you will notice that the prices are nowhere near the original base price. This may give you some ideas about ordering your own car from the factory. Most salesmen will tell you that it costs them less and that why their prices are as ‘low’ as they are. This may not be entirely true as ordering could see you pay much less for the same car as compared to buying it at a foreign show room. Do your math and research before hitting any car sales lot so as to know when you are being lied to. You will need to be wary of this hole. Once you take a look at a car and like it, the salesman will know it. Never fall for the ‘name your price trick’. Most of the salesmen know that you might quote higher when you like the car. These salesmen most of the time will not attach the price to the car. They will also not show you the price list to avoid any pre emptying on your part. Know the factory price before making a purchase. Never quote the price for yourself unless you are sure how much the car costs. This will definitely get you if you are desperate. Once your mind is made up about a car you have seen, then go for it even if it means having to spend a little bit more. Never fall for the ‘I have another car in that range’ line. This could be a really big mistake as the car may have lesser that what you want in terms of performance and quality. The fact that he or she would say that means you could get a better deal somewhere else. You will be surprised how much more you pay for a car without proper shopping around on your part. This is probably the biggest lie in the book. When making a car booking or buy online prior to seeing it. Do not rely on what price the seller gives you. All they want is to have you at the car lot and the price you agreed on changes slightly. They know that you will not leave the car sales lot without the car because of a few hundred dollars especially if your drove from far. Make sure you go for a stated price. Haggled prices on phone may really disappoint you after a long drive to pick and pay fro a car. Check out the Carzoos blog for more useful information and engaging articles.